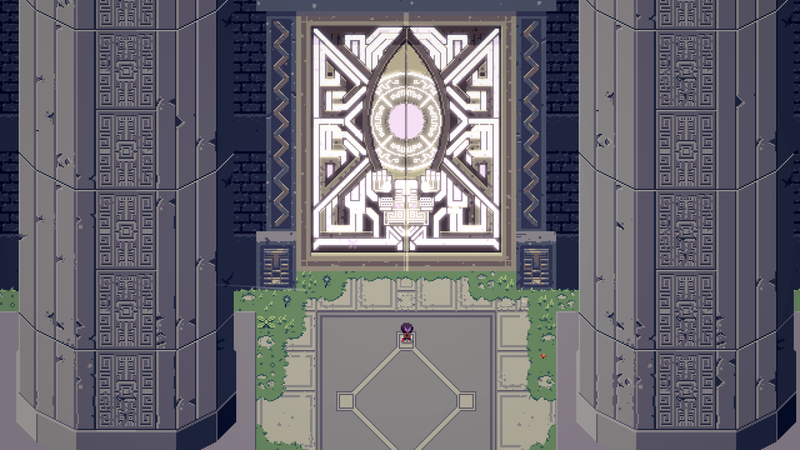 Every boss fight is a puzzle in Titan Souls. 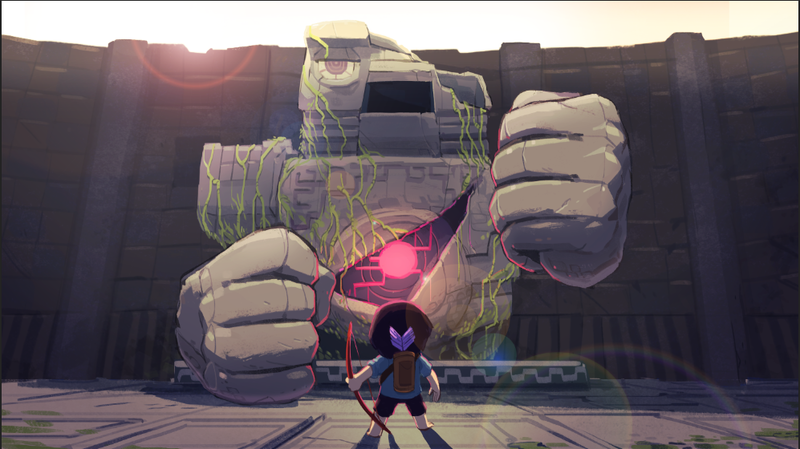 Who's stupid enough to take down several colossal enemies with a single arrow? You are. 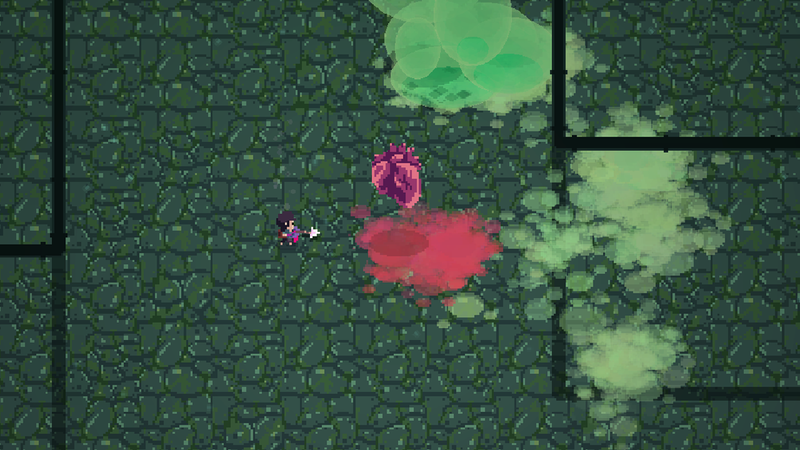 Titan Souls' limit of one arrow is what makes every hit feel so much bigger. Every death gains you not frustration (at least not too much frustration), but a greater base of knowledge for the fight. These fights against the titans are more of a puzzle than a standard boss fight. Each titan is unique. Additionally, each titan will most likely kill you on your first encounter. They each need one hit from your solitary arrow to be defeated, but they will not make it easy for you to get that shot in. They'll bounce around, slide around, roll on top of you, shoot beams at you, and smash you into the ground as if you were a pesky fly. By rolling around and learning which direction to move at the right time, your chances of survival increase tremendously. With only one arrow, you need to make your shot count. Fortunately, if you miss your shot, you can call back your arrow or pick it up if it happens to be under your feet. Every titan has a weak spot. That weak spot may only be vulnerable for less than a second at a time, and careful observation with well-timed trial-and-error shots reveal the opportunity to strike. Death is frequent. 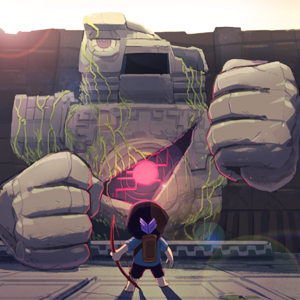 As someone who growls at a screen after falling off the same spot in games more than a couple of times in a row, I approached the retro action Titan Souls with all the patience I could summon. Any death I experienced was not a punishment. At most, I would lose a minute -- maybe two if I was spending more time narrowly rolling past my imminent destruction that fight -- of my time as I was sent back to the starting point. When I unleashed a perfect shot into the titan's weak point, I let go of the deep breath I had been holding. The controller in my hands was sweaty. Every victory was another adrenaline rush. Each successful single hit was the equivalent of winning a long boss fight. 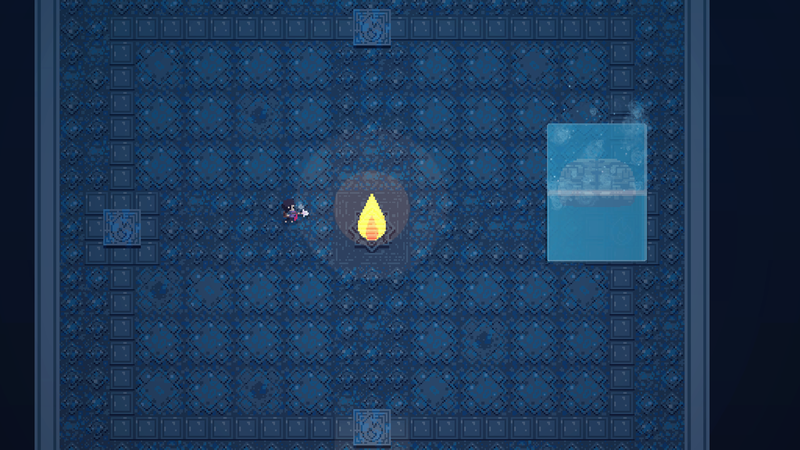 Titan Souls is simple and direct on the surface, but it actually takes a lot of concentration. Timing is key. The longer you hold the button to shoot an arrow, the farther the arrow will fly. This is especially important for beginning fights against titans as your first hit on them merely wakes them from their slumber. If you can unleash an arrow fast enough, it will bounce off of the titan and land close to you, allowing you to grab it and get the hell out of the way. Then the real battle begins. Having your arrow on you at all times helps you be prepared for an opening, but the titans won't simply wait around for you to call back your arrow. You may have to run and roll, slowly calling the arrow a bit closer each time before you actually recover it. 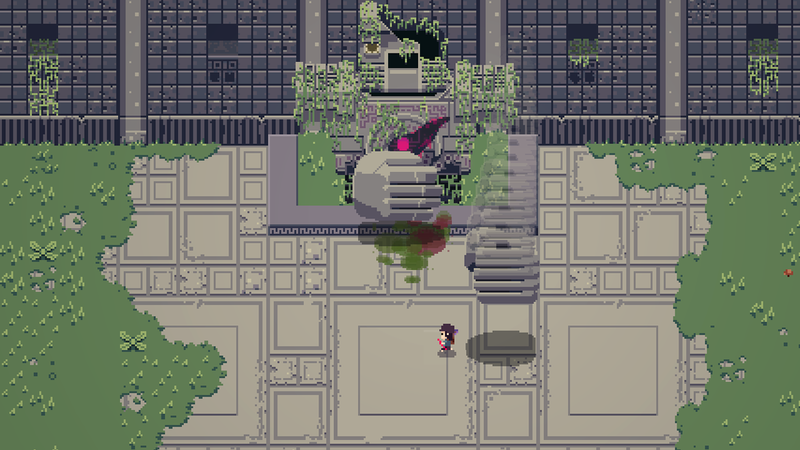 Acid Nerve developed Titan Souls originally for Ludum Dare 28. Devolver Digital will publish this updated version in early 2015 for PC, Mac, Linux, PS4, and Vita.